The awards season holiday hiatus is over. The race to Oscar night is back on. Three days before Oscar nomination voting begins, six days before the Golden Globes, and 55 days before Jimmy Kimmel hosts the Oscars, the awards front runners — nearly all of them — gathered at the Palm Springs International Film Festival’s Awards Gala for a non-televised show of pre-determined honors on Monday night. We learned that Tom Hanks is a fan of Natalie Portman‘s published professional research on enzymes, that “Moonlight” star Mahershala Ali is a podium powerhouse, and that the cast of “La La Land” watched the late Debbie Reynolds‘ “Singin in the Rain” every day for inspiration. Also Read: Will the Oscars 'In Memoriam' Be the Biggest, Saddest Ever? While Hollywood A-listers made circumspect pleas for “the arts” and expressed general optimism for the new year, there was not a single mention of the President-Elect Donald Trump in three hours of speeches. Here’s what else surprised us at the Palm Springs Gala. Also Read: How Many Votes Will It Take to Get an Oscar Nomination in 2017? The 2017 Palm Springs gala honored five actresses: Annette Bening (“20th Century Women”), Amy Adams (“Arrival”), Natalie Portman (“Jackie”), Nicole Kidman (“Lion”), and Ruth Negga (“Loving”). 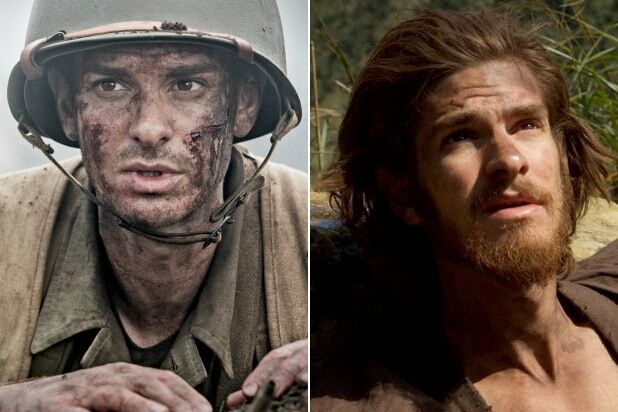 Four actors also earned honors: (Mahershala Ali (“Moonlight”), Casey Affleck (“Manchester By the Sea”), Andrew Garfield (“Hacksaw Ridge”), and Tom Hanks (“Sully”). 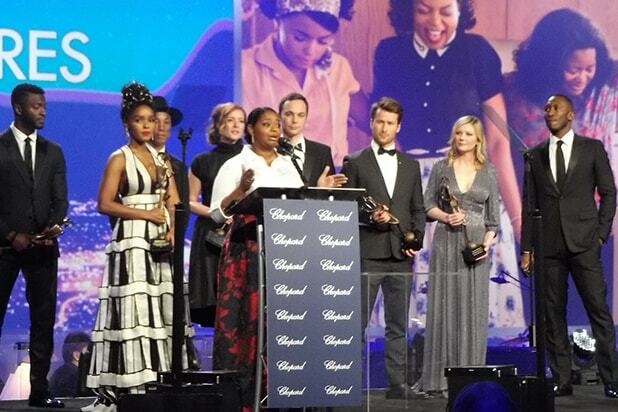 And two ensembles picked up trophies: the cast of “Hidden Figures” (Taraji P. Henson, Octavia Spencer, Janelle Monáe, Kevin Costner, Kirsten Dunst, Jim Parsons, and producer Pharrell Williams) and the filmmaking team behind “La La Land” (Damien Chazelle, Emma Stone, Ryan Gosling). All but Henson and Emma Stone were inside the Palm Springs Convention Center. 2. Emma Stone has strep throat. The lead actress contender, who appears to be a lock for Sunday’s Globes, smartly rested her voice. 3. If Mahershala Ali wins a Globe and/or an Oscar, tell your viewing party to shut up and listen. In an emotional speech early on in the night, the star of both “Moonlight” and “Hidden Figures” said he gains inspiration from his father. A journeyman actor on Broadway, only scoring roles in the chorus or as an understudy, he never saw the limelight. Ali said he now appreciates the attention. A televised trip to an awards podium for Ali later this season could be an emotional winner of a speech. Also Read: 'La La Land' High-Flying Highway Opening Scene: How'd They Do That? 4. 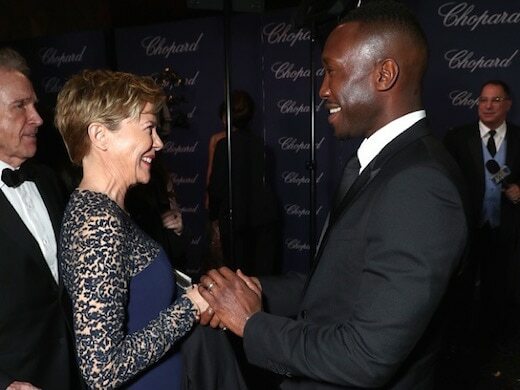 Even Gosling is a Mahershala fan. Outside TheWrap’s portrait studio in the lobby of the gala, Gosling pulled Ali in to his conversation with Amy Adams’ husband, Darren Le Gallo, embracing Ali with a four-handed, two-man handshake most often seen between politicians at a bilateral summit. 5. “Frontal Lobe Activation During Object Permanence: Data From Near-Infrared Spectroscopy” is a Natalie Portman production. He pulled back the curtain to highlight some of her lesser known works. Hanks sent us to google to find one of the “Jackie” actress’ published papers, formally titled “A Simple Method to Demonstrate the Enzymatic Production of Hydrogen from Sugar.” It was published in 1998 under the name Natalie Hershlag. He also mentioned the paper noted above in bold. “I think I can retire now after getting Tom Hanks to say all those nice things about me,” Portman said when it was her turn on the mic. 6. Palm Springs Loves Tom Hanks…even “Joe Versus The Volcano”. During local news’ live telecast from the red carpet, reporters played Hanks trivia games with fans. They doled out Starbucks gift cards as prizes. Inside, the “Sully” star got the only standing ovation of the night. Even his 1990 clunker “Joe Versus the Volcano” became a running joke throughout the night as Andrew Garfield cited it, along with “Big,” as the reason he got into acting himself. “I was thrilled and I was stunned to hear the fabulous actor Andrew Garfield finally, finally, see to it that the Palm Springs International Film Festival finally gave some love to ‘Joe Versus the Volcano,'” Hanks cracked. It’s been nearly three weeks since the SAG Award nominations were announced, the last major awards milestone before studios, agencies and the industry shut down for the holidays. But the key players of the next eight weeks leading up to Oscar night were at the Palm Springs Convention Center on Monday, eating salad out of upside martini glasses and drinking actual martinis in front of energetic emcee Mary Hart, the former host of “Entertainment Tonight” and close pal of festival chairman Harold Matzner. 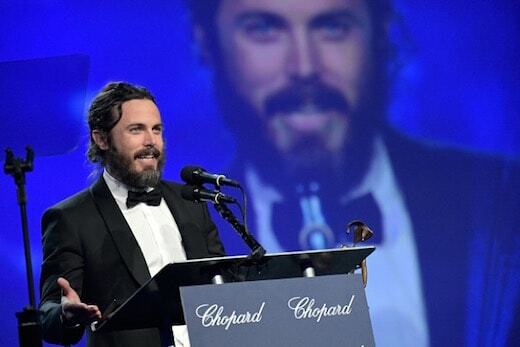 While announcing the night’s impressive $2.3 million haul for the Palm Springs Film Society’s educational programs, and tipping the cap for sponsors Chopard and Mercedes, Matzner reminded the room that 38 previous PSIFF honorees went on to win Oscars that same year. The next step towars padding those stats comes with the Golden Globes at the Beverly Hilton on Sunday and Oscar nominations on January 24.